Content Creation: Is Presentation More Important Than Content Itself? Is Yours Interesting Or Boring? Do you know? Have you thought about it? 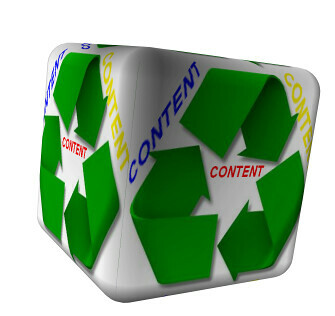 How your content is presented on your blog is vitally important. Do you know what the term "Bounce Rate" means? In Google Analytics, the term "Bounce Rate" refers to the number of times you receive a visitor to your site who sees your home page … and then leaves without viewing anything else. All you need to know here is this: it's not a good thing. The fact is, how your content is presented can make the difference between it actually being read … or simply seen. And, being read can mean the difference between being paid … and not. Here's a great little article from "Search engine Land" by Jordan Kasteler. Kasteler is the online marketing strategist for People for the Ethical Treatment of Animals (PETA). Whatever you might think of PETA … go look at their websites. What I can tell you here is also very simple: they have very low "Bounce Rates". Is Presentation More Important Than Content Itself? By Jordan Kasteler – "It doesn't matter how mind-blowingly original or well-crafted your content is: if your audience doesn't stick around to consume it, why bother creating it? Gone are the days when users are satisfied with a mere blog post or status post." When you are creating content for you blog take that extra step. Take a moment and ask yourself, "What is this going to look like to the viewer?" Is it to dense? Do I need to break it up a bit with subheadings or graphics? Should it be a bit more colorful? What can I do to make it a more pleasurable viewing experience and a more memorable read? Taking just that extra bit of time and care can make all the difference in the world. Content Creation Problems: Here Are Some Great Tips! 3 Responses to Content Creation: Is Presentation More Important Than Content Itself? GREAT post Steve!! So true. You spend all that time creating content but if it’s not presented in a way that is appealing then you are just wasting your time. Something to stop and think about!!! It’s about time the Google Monster caught onto what people really want when they go type a keyword phrase into their search box. It took them long enough to figure out we weren’t looking for keyword after keyword and we were actually looking for the content to provide us with actual factual information. Online Techniques FREE Training Sessions With Steve Gaghagen Are Now Online Every Thursday At 8PM Eastern / 5PM Pacific Time. Subscribe To Our Mailing List To Receive Updates & Reminders About All Live And Recorded Training Sessions! Blogging Workshop Video Series The Online Techniques Blogging Workshop Video Series Will Teach You Everything You Need To Know To Build A Traffic-Grabbing Blog … From The Ground Up! LSI Keywords: What Are They & How Do I Use Them? Build Your Business World-Wide And Face To Face With Amazingly Inexpensive Conferencing Tools That Grow As Your Business Grows! Prospect Geyser: Search Engine Marketing On Auto-Pilot. Delivers Organic, Targeted Leads To Your Web Page Day In And Day Out. From Janet Legere and James Stone, This Is One GREAT Way To Advertise! Duplicate Bye Bye: If You’re Auto-Blogging, Or If You Post Content From Other Sites and You’re Sick Of Google Not Ranking Your Content … Then You Need Duplicate Bye Bye. Makes ALL Content On Your Blog Read As “Original” To Search Engine Spiders. SEOPressor: We Call SEOPressor “The Superstar Plugin”. It’s The One Plugin You MUST HAVE If You Want To Rank High For Your Keywords. With This Little Baby & Some Judicious Keyword Research, You Can Have Your Blog Post On The First Page Of Google … TOMORROW! © 2019 Online Techniques. All Rights Reserved.